Nothing will be Safe !!! If you have forgotten your Vault password or if you wanna steal someone of your friend or girl friend's Vault password. Just contact me, I will do it for you. I need some basic information only. You can contact me by my Email. 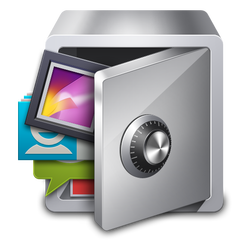 Features : – You can get access to all the features of vault like Applock, Hide Images & Videos, etc. In AppLock, I will only give you the Hidden Images and Videos not the Main Password or Pattern. I can steal the data only or recover it by some of my technique and my knowledge. Contact me to my Email.